Arendur’s parents were part of the lower class of industrial workers on Adumar. They were typical low-class parents: giving everything for their children. Arendur’s father would go to work every day in the ship factory while his mother would maintain the house and hold self-school for other children of similar privilege. During a crime syndicate takeover of some of the factories Arendur’s father was killed. 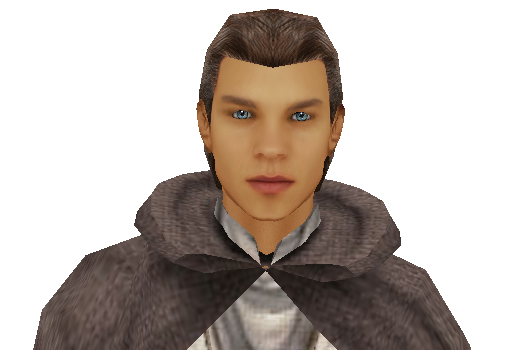 With no sustainable income Arendur’s mother decided to move closer to the core worlds to pursue an instructional career to support young Arendur. Arendur was moved from Adumar to Alsakan with his mother after the murder of his father. There he continued to live under the shadow of his father’s death while his mother began to work full time in an instructional career. Arendur was always careful to keep his specie a secret, being one of the few Firrerreo left in the galaxy, he didn’t want his friends to alienate him due to his rare birth. Then, without notice, Arendur disappeared from Alsakan between the age of thirteen and fourteen. It was some time later that he found himself in the jungles of Yavin IV… waking up without any recollection of his past memories. It was a tough start for Arendur, waking up in a cold rain on Yavin IV as all hell broke loose in the stratosphere above him. Having only regained consciousness he stumbled into an opening and collapsed just inside the grounds of the Jedi Temple on Yavin IV. Waking up to the sight of a cybernetic eye and an extended hand, Arendur spent his first waking moments being tended to by Coren Ran and Sared Kilvan before falling into an exhausted sleep in the medical bay. When Arendur awoke, he found himself on a whole new world. The Order had relocated to Tatooine while he was unconscious. Slowly he began to get his bearings on who he was with, where he was, and what was happening. It was on Tatooine that Arendur first learned of the Force and its infinite vastness from the Masters there on Tatooine. Some time later the Order relocated once again to Kamino, on the edge of wild space. Arendur enjoyed the complex and became more accustomed to his interaction with the Jedi. Because of the escalation in the war, there was no where for Arendur to go and he was forbidden to leave. As such, he spent his time learning all he could from the students and Masters whenever he saw them. As the conflicts settled down in the galaxy, at least in direct relation to the Jedi, the Order once again traversed the galaxy to arrive at Alzoc III. Here Arendur was Initiated and began his journey towards Knighthood. He was Initiated alongside Illrian Demaris by the Jedi Council while waiting for the first stage of the new enclave to be finished.